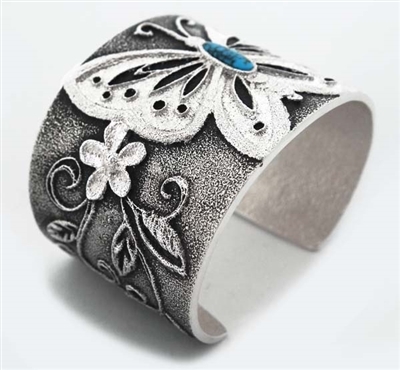 This beautiful one-of-a-kind tufa cast bracelet, was hand crafted by Navajo artist, Rebecca Begay. 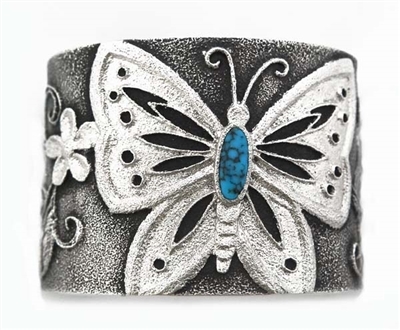 This lovely piece features a high grade, natural Apache Blue turquoise stone. 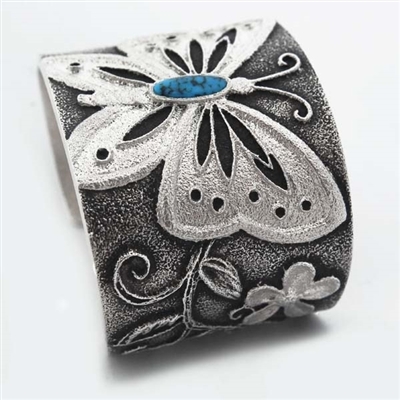 The detail of the cast design is quite beautiful with raised textures, adding a depth of beauty to the butterfly and flowers. 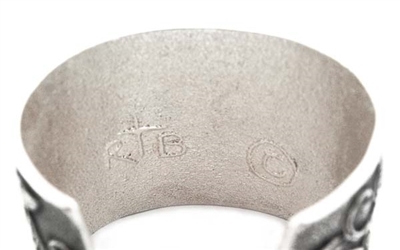 The bracelet measures 1 5/8" wide, with an inside diameter of 5" with a 1" opening. Just an outstanding one-of-a-kind piece! Rebecca has exhibited her work and won awards at many shows, including Santa Fe Indian Market and the Heard Museum Market.